US Wellness Meats’ Sugar-Free Plain Turkey Jerky Sticks have two simple ingredients, but are packed with plenty of flavor! Sugar-Free Plain Turkey Jerky Sticks are free of sugars, sweeteners, antibiotics, added hormones, sodium nitrite, nitrates, gluten, MSG, pork, corn, soy, artificial colors, and preservatives. Sugar-Free Plain Turkey Jerky Sticks are AIP-friendly, for more information visit US Wellness Meats’ blog. 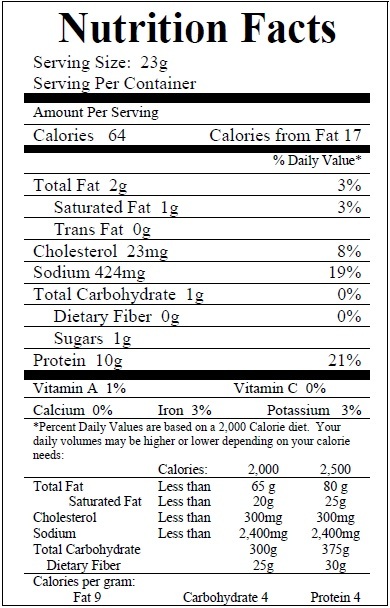 Each Sugar-Free Plain Turkey Jerky Sticks package averages 8 ounces (10-12 uniform sticks). Sugar Free Plain Turkey Jerky Sticks are fully cooked. Once thawed, Sugar Free Plain Turkey Jerky Sticks can be enjoyed right out of the package or stored in the refrigerator for 7-10 days. Since US Wellness Meats does not use preservatives or nitrates, Sugar Free Plain Turkey Jerky Sticks are not shelf stable and will need to be refrigerated. I enjoy the plain turkey jerky every day for breakfast. My only complaint is that it is sometimes out-of-stock just when I'm ready to order more! This isn't the jerky you are thinking of. It comes in an 8 oz package frozen and requires thawing. However, once thawed in your refrigerator you have a great piece of cooked, tasty turkey. Kind of think turkey bacon, but thicker and maybe a bit chewier. I'm pleasantly surprised and plan to keep it on hand. We love these Plain Turkey Jerky sticks! Just thaw it and what a yummy, healthy treat! Any time it's sold out we are sad and can't wait until it's restocked. Thank you! This is absolutely not for me. I included it in my very first order and, while I followed the defrosting and storage instructions, I found the flavor to be overwhelmingly strong. Being the only household member that eats meat I unfortunately have to throw these away. USWM- Thank you for taking time to review our product! We are truly very sorry to hear that you were disappointed with our product. We do realize our Turkey Jerky sticks are not for everyone. Some people prefer the Cajun or cranberry over the plain sticks. If you like jerky you may also want to try our beef jerky sticks as opposed to our turkey jerky sticks. Again, we are truly very sorry that you had a bad experience with our product. I really wanted to love this product, but unfortunately, I really didn't even like it. The texture was too tough and the flavor was just not pleasant to me. My husband and I both enjoy jerky but found this one just too unpalatable. I actually cut it into little squares and fried it in butter to see if we could eat it! The squares puffed up into little "turkey pillows" and were better, but I ended up giving it to the dogs...who LOVED it!